Promising a “smart,” not just “tough,” approach to crime, Deputy Public Defender Genevieve Jones-Wright Wednesday announced her candidacy for San Diego County district attorney. The San Diego native, a graduate of Patrick Henry High School, faces the difficult task of pursuing the job as the county’s top prosecutor while coming from the defense side. She’ll take on Chief Deputy District Attorney Summer Stephan in the June 2018 primary election. Stephan on Friday will assume the district attorney’s job on an interim basis. She was appointed by the Board of Supervisors to finish the term of the retiring Bonnie Dumanis. A public defender in San Diego since 2006, she said people want to see more fair results in the courtroom and an end to the school-to-prison pipeline. “For far too long, we San Diegans have been at the whim of prosecutors who care more about headlines and political points than seeking justice — this ends now, San Diego,” Jones-Wright said. She said that right now, criminal justice is a numbers game in the district attorney’s office. “Victims don’t get justice if the wrong person is serving time,” said Jones-Wright, who was introduced by former Assemblywoman Lori Saldana, D-San Diego. On the hard road ahead, she said coming from the defense side equips her to be the best district attorney. “As a public defender, I work for justice, fairness, accountability,” Jones-Wright said. 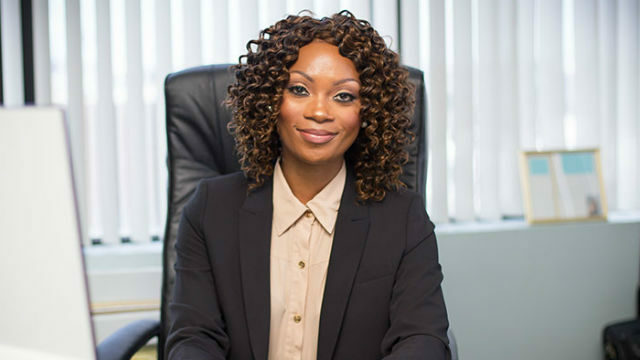 The graduate of the University of San Francisco and Howard University School of Law serves on the city of San Diego’s Commission on Gang Prevention and Intervention, where she chairs the ad-hoc gang documentation committee, reviews cases for the California Innocence Project at the California Western School of Law and is a board member for the Earl B. Gilliam Bar Association. She also sits on board of The David’s Harp Foundation, a local nonprofit that uses music in its work with homeless and at-risk youth. She is also an adviser and mock trial team coach for the criminal justice program at Lincoln High School.